Jari started playing golf in Australia 1989. 1998 he totally fell in love with golf and started taking it more seriously. 2003 he found himself caddying on the European Senior Tour. 2004 Jari moved to the USA and started studying all aspects of golf. Golf had become "his life". After learning from some of the best golf teachers in the world (e.g. Bob Toski, John Mason, Myron Klement and Jim Perez) he was confident that he has something to give to his fellow golfers. Passion for teaching, being very detail orientated and (good or bad) being able to see everything are his strenghts he offers as a golf teaching professional. 2007 Jari tour-coached and caddied LPGA player Minea Blomqvist. When they started working together Minea was 134th in the money list. Only 8 months after she was in the top-30. Jari and Minea missed only one cut during the time they worked together. Between 2008 and 2012 Jari managed one of the top-100 driving ranges in the USA, Trails End Golf Center (Oregon City, OR). During that time Jari was able to make the driving range a very pleasant and popular place to practice. Jari also introduced an X Golf simulator, the most realistic and accurate golf simulator in the world, to the customers of the driving range. From 2011 Jari has also served as the in-house golf professional for X Golf America. In September 2012 Jari opened his long time dream, his own BirdieFinish Golf golf speciality store in Oregon City, OR. He speciliazes in golf club repairs, club fittings, custom club making as well as golf instruction. Jari is one of the TOP-100 Club Fitters in the world and a Master Clubmaker. 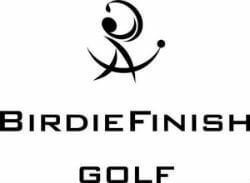 BirdieFinish Golf also offers golfers a chance to play X Golf simulator and its 93 US and international golf courses.Come visit BirdieFinish Golf! PXG clubs are here! Come and demo them today. Book your fitting now! EPON high en Japanese forged clubs are here! Demo today! BirdieFinish Golf is the only golf shop in Oregon that is a qualified Callaway Tour Van builder. Your Callaway clubs are built just like for the Touring Pros. At BirdieFinish Golf your Callaways dont come in a box. They are all custom built. For you.